Treat the patient as a whole, not just the hole in the patient. 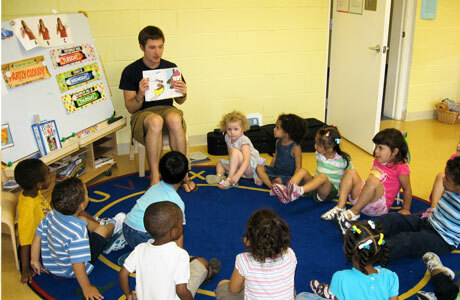 In the care of pediatric clients, growth and development are not in isolation. Nurses being competent in the aspects of growth and development particularly principles, theories and milestones are in best position to counsel clients on these aspects. Having background knowledge on growth and development, nurses are equipped with assessment skills to determine developmental delays through the aid of screening tests. EXPLAINING THE PROCEDURE. Once the materials are ready, the nurse explains the procedure to the parent or caregiver of the child. It has to be emphasized that this is not a diagnostic test but rather a screening test only. 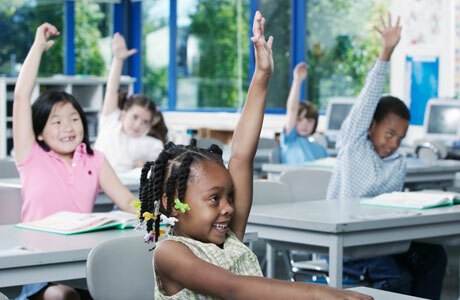 When conducting the test, the parents or caregivers of the child under study should be informed that it is not an IQ test as it may be misinterpreted by them. The nurse should also establish rapport with the parent and the child to ensure cooperation. AGE & THE AGE LINE. To proceed in the administration of the test, the nurse is to compute for the exact age of the child, meaning the age of the child during the test date itself. The age is the most crucial component of the test because it determines the test items that will be applicable/ administered to the child. The exact age is computing by subtracting the child’s birth date with the test date. After computing, draw the age line in the test form. TEST ITEMS. There are 105 test items in MMDST but not all are administered. The examiner prioritizes items that the age line passes through. It is however imperative to explain to the parent or caregiver that the child is not expected to perform all the tasks correctly. If the sequence were to be followed, the examiner should start with personal-social then progressing to the other sectors. Items that are footnoted with “R” can be passed by report. SCORING. The test items are scored as either Passed (P), Failed (F), Refused (R), or Nor Opportunity (NO). Failure of an item that is completely to the left of the child’s age is considered a developmental delay. Whereas, failure of an item that is completely to the right of the child’s age line is acceptable and not a delay. Adult: 500 mg/day as a single dose or in 2 divided doses, increased to 500 mg bid if necessary. Child: 20 mg/kg/day once or twice daily, up to a max dose of 500 mg once daily, if necessary, bid for otitis media. Cefprozil inhibits cell wall synthesis and has activity against a broad range of gram-positive and gram-negative bacteria. Absorption: Well absorbed from the GI tract. Bioavailability: 90-95%. Distribution: 35-45% bound to plasma proteins. Widely distributed in the body tissues. Excretion: Plasma half-life: 1-1.4 hr; prolonged in renal impairment. About 60% excreted unchanged in the urine. Nausea; vomiting; diarrhea; hypersensitivity reactions; nephrotoxicity; convulsions; CNS toxicity; hepatic dysfunction; hematologic disorders; pain at Injection site (IM); thrombophlebitis (IV infusion); superinfection with prolonged use. Culture infection before drug therapy. Give drug with food to decrease GI discomfort. Refrigerate suspension after reconstitution, and discard after 14 days. Discontinue if hypersensitivity reaction occurs. Give the patient yogurt or buttermilk in case of diarrhea. Arrange for oral vancomycin for serious colitis that fails to respond to discontinuation. Complete the full course of this drug, even if you feel better. This drug is prescribed for this particular infection; do not use it to self-treat any other infection. You may experience these side effects: Stomach upset, loss of appetite, nausea (take drug with food); diarrhea; headache, dizziness. Report severe diarrhea with blood, pus, or mucus; rash or hives; difficulty breathing; unusual tiredness, fatigue; unusual bleeding or bruising. Cefdinir (Omnicef) is a cephalosporin (third gen) works as bactericidal and inhibits synthesis of bacterial cell wall, causing cell death. Bactericidal: Inhibits synthesis of bacterial cell wall, causing cell death. Contraindicated with allergy to cephalosporins or penicillins. Use cautiously with renal failure, lactation, pregnancy. Community-acquired infection, uncomplicated skin, or skin-structure infections: 300 mg PO q 12 hr for 10 days. Acute exacerbation of chronic bronchitis, acute maxillary sinusitis, pharyngitis, or tonsillitis: 300 mg q 12 hr PO for 10 days or 600 mg q 24 hr PO for 10 days. Otitis media, acute maxillary sinusitis, pharyngitis, tonsillitis: 7 mg/kg q 12 hr PO or 14 mg/kg q 24 hr PO for 10 days up to maximum dose of 600 mg/day. Skin and skin-structure infections: 7 mg/kg PO q 12 hr for 10 days. For creatinine clearance < 30 mL/min, 300 mg PO daily. For patients on dialysis, 300 mg PO every other day; start with 300 mg PO at the end of dialysis and then every other day. Arrange for culture and sensitivity tests of infected area before beginning drug therapy and during therapy if infection does not resolve. Reconstitute oral suspension by adding 39 mL water to the 60 mL bottle, 65 mL water to the 120 mL bottle; shake well before each use. Store at room temperature. Discard after 10 days. Give drug with meals; arrange for small, frequent meals if GI complications occur. Separate antacids or iron supplements by 2 hr from the cefdinir dose. Arrange for treatment of superinfections if they occur. Take this drug with meals or food. Store suspension at room temperature, shake well before each use; discard any drug after 10 days. Complete the full course of this drug, even if you feel better before the course of treatment is over. This drug is prescribed for this particular infection; do not self-treat any other infection with this drug. You may experience these side effects: Stomach upset, loss of appetite, nausea (taking the drug with food may help); diarrhea (stay near bathroom facilities); headache, dizziness. Physician orders 500 mg of ibuprofen (desired Dose) for a patient and you have 250 mg (Quantity on Hand) tablets (Quantity of solution) on hand. Solution: D ÷ H x Q = X 500mg ÷ 250 mg x 1 tablet = 2 tablets Answer: 2 tablets. 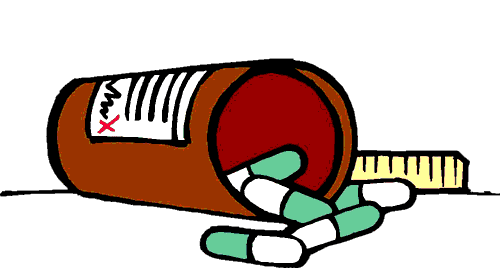 Physician orders 1500 mg of liquid ibuprofen for a patient. Quantity of Ibuprofen is 500 mg in 1 cc, how much will you administer? MD orders 300 mg of Ibuprophen to be taken by a 6 kg infant every 4 hours. Label shows 75 – 150 mg/kg per day. Is the physician’s order within normal range? Dr. A. orders your patient to receive 125 ml of D5W an hour for the next 8 hours. The nursing unit uses tubing with a drop factor of 10. What is the drip rate per minute? Dr. B. orders a liter of D5W to run this 8-hour shift. The drop factor is 15. What is the drip rate per minute? Your patient weighs 200 lb and the order is to infuse 250 mg dobutamine in 500 ml NS at 10 mcg/kg/min. How many milligrams of dobutamine will infuse per hour? To convert gr to g divide by 15. Adult: Initially, 12.5 mg once daily increased to 25 mg once daily after 2 days. Alternatively, initial dose of 6.25 mg bid increased to 12.5 mg bid after 1-2 wk, increased further if necessary to 50 mg once daily or in divided doses. Elderly: 12.5 mg once daily. Adult: Initially, 12.5 mg bid increased to 25 mg bid after 2 days. Adult: Initially, 3.125 mg bid, doubled to 6.25 mg bid after 2 wk if tolerated, then gradually increased to the max dose the patient can tolerate at intervals of not <2 wk. Max dose: >85 kg: 50 mg bid; <85 kg: 25 mg bid. Adult: Initially: 6.25 mg bid, if tolerated, after 3-10 days, increase to 12.5 mg bid and then to a target dose of 25 mg bid. 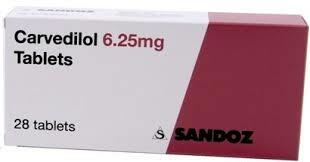 Carvedilol causes vasodilation by blocking the activity of α-blockers, mainly at alpha-1 receptors. It exerts antihypertensive effect partly by reducing total peripheral resistance and vasodilation. It is used in patients with renal impairment, NIDDM or IDDM. Absorption: Absorbed well from the GI tract (oral); peak plasma concentrations after 1-2 hr. Distribution: Enters breast milk. Protein-binding: >98%. Metabolism: Hepatic: Considerable first-pass effect. Excretion: Via bile (as metabolites); 6-10 hr (elimination half-life). Bradycardia, AV block, angina pectoris, hypervolemia, leucopenia, hypotension, peripheral edema, allergy, malaise, fluid overload, melena, periodontitis, hyperuricemia, hyponatremia, increased alkaline phosphatase, glycosuria, prothrombin time, SGPT and SGOT levels, purpura, somnolence, impotence, albuminuria, hypokinesia, nervousness, sleep disorder, skin reaction, tinnitus, dry mouth, anemia, sweating, fatigue, arthralgia, aggravation, dizziness. Diarrhea, nausea, vomiting, insomnia, hypercholesterolemia, weight gain, abnormal vision, rhinitis, pharyngitis and hypertriglyceridemia. Hypersensitivity; severe chronic heart failure, bronchial asthma or related bronchospastic conditions; severe hepatic impairment. Patients with NYHA class IV cardiac failure, 2nd or 3rd ° AV block, sick sinus syndrome (unless a permanent pacemaker is in place), cardiogenic shock or severe bradycardia. Lactation. WARNING: Do not discontinue drug abruptly after chronic therapy (hypersensitivity to catecholamines may have developed, causing exacerbation of angina, MI, and ventricular arrhythmias); taper drug gradually over 2 wk with monitoring. Consult with physician about withdrawing drug if patient is to undergo surgery (withdrawal is controversial). Give with food to decrease orthostatic hypotension and adverse effects. Monitor for orthostatic hypotension and provide safety precautions. Monitor diabetic patient closely; drug may mask hypoglycemia or worsen hyperglycemia. WARNING: Monitor patient for any sign of hepatic impairment (pruritus, dark urine or stools, anorexia, jaundice, pain); arrange for LFTs and discontinue drug if tests indicate liver injury. Do not restart carvedilol. 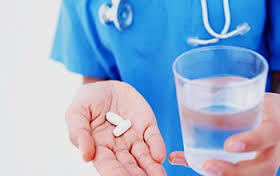 Do not stop taking drug unless instructed to do so by a health care provider. Avoid use of over-the-counter medications. Advise the diabetic patient to promptly report changes in glucose. You may experience these side effects: Depression, dizziness, light-headedness (avoid driving or performing dangerous activities; getting up and changing positions slowly may help ease dizziness). Report difficulty breathing, swelling of extremities, changes in color of stool or urine, very slow heart rate, continued dizziness. 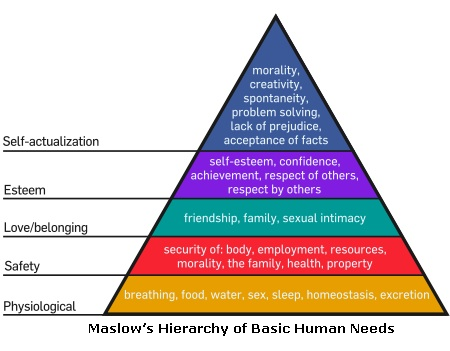 Each individual has unique characteristics, but certain needs are common to all people. A need is something that is desirable, useful or necessary. Human needs are physiologic and psychological conditions that an individual must meet to achieve a state of health or well-being. The need to care and to be cared for. To meet the patient’s need by providing a safe comfortable bed. Principles of Bedmaking: (Techniques vary but principles are the same). Have everything ready on hand before starting. Remember that the bed is made for use, for durability and comfort and that it should have a finished appearance. Place all linen on perfectly straight line on the bed, otherwise , it would be impossible to make bed tight and free from wrinkles. All comes should look neat, smooth and firm. Note: Do not use torn linen and in private rooms avoid stained linen. Gather all equipment and place at the bedside table and arrange them in the order of their use. Get bottom sheet and spread it lengthwise on mattress with the center fold at center of bed, with right side up and with narrow them even with foot of mattress. Tuck the head part and miter the corner nearest to you by bring the side of the sheet at night angle to the side of the mattress. Then tuck from the head part making a boxlike appearance going down to the foot part. Place the rubber sheet 15 to 18 inches from the edge of the mattress. Put the draw sheet over the rubber sheet giving an allowance of one inch longer than the rubber sheet at the head part and luck both together. Place the top sheet with the wrong side up wider harm at the head part in line with the upper edge of the mattress and with the centerfold along the middle of the bed. Tuck the foot part and miter the corner. Leave the side free. Go to the other side of the bed. Full the bottom sheets firmly, tuck at head part miter the corner and tuck the sides working towards the foot. Adjust the rubber sheet and draw sheet, pull them firmly and tuck them in separately. Tuck top sheet at food part and miter the corner. Leave side free. Fold back top part about 14 inches. Put the pillowcase and lay pillow flat on bed with the open and of case away from the main door. In the private room fold down the top sheet 18 inches away from the head part of the bed. Place a bedspread on top. To change the linen with the least possible disturbance to the patient. 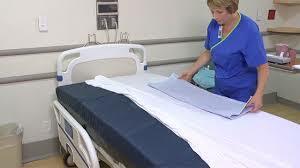 To draw or fix the sheets under the patients very firmly so that it would not wrinkle. To remove crumbs from the bed. To make patient feel comfortable. Tray for stripping and airing. Gather equipments at bed side and arrange according to use. Explain procedure to patient and screen. Loosen the linens starting at the foot part, then to the sides and around. Remove pillows unless contraindicated. Place clean top sheet over dirty top sheet wider hem, wrong side out at the head part of bed. Spread, then remove the dirty linen without exposing the patient. Turn patient towards one side of the bed. Work on the unoccupied side of the bed. Roll dirty linens toward the patient (except rubber sheet). Place bottom sheet following the principles, tuck head part miter corner tuck. Roll used rubber sheet towards you. Replace with a new one. Place draw sheep over rubber sheet. Tuck together. Turn patient towards made bed. 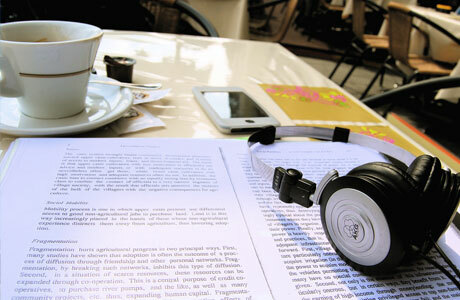 Work on the other side. Remove dirty linens. Spread clean linens, tuck head part of the bottom sheet, miter at side, tuck all together. Do the same with rubber sheet and draw sheet. Turn patient to the center of the bed. Arrange top sheet, fold head part up to the patient’s chest. Tuck foot part, miter corner. Time limit, check features of a good bed and proper body mechanics. Provision for privacy as situation requires. Carefully turning the patient. So as to prevent over exertion and feeling or insecurity. Provision of opportunity for patient to Participate. Placement of top bedding so that shoulder may be covered and the necessary adjustments made over toes. Careful observation of skin areas of the patient. Dizziness is actually a non-specific term used to describe certain symptoms, such as feeling lightheaded, faint, weak, nauseous, or unsteady. Most people see their doctors immediately when they experience any dizziness, and that is mainly because the symptoms can be very uncomfortable at times. While the condition can make you feel concerned, it is usually not due to anything very serious. In fact, anxiety and dizziness are related with each other. Hyperventilation: It makes you feel dizzy because it disturbs your oxygen-carbon dioxide balance. During an anxiety attack, it is natural to feel hyperventilated as the result of breathing too quickly. You may also develop this condition if you have poor breathing patterns, which will then lead to insufficient supply of oxygen to your body. Panic: Dizziness may well be a symptom associated with panic attacks. When you panic, it is natural to feel the rush of adrenaline, which is responsible for making you feel dizzy and lightheaded. Vision Problems: You may notice lightheadedness and dizziness when you have certain vision problems. That happens because your brain has difficulties in interpreting your vision due to the problems you have. Dehydration: Not drinking enough water leads to dehydration, and dehydration can cause dizziness. Your dehydration symptoms become severe when you are also anxious or are experiencing panic attacks. Anxiety and dizziness may be present at the same time, but you are less likely to feel dizzy for too long in this situation. If you feel dizzy more often and for extended time, it could be due to other underlying conditions such as multiple sclerosis or even low blood pressure. If you experienced lightheadedness for the first time in your life which was severe as well, you should see your doctor immediately to identify the underlying cause. Deep breathing helps improve the supply of oxygen to your brain and relaxes your nervous system. This helps reduce dizziness quickly. Lie down on the floor with a hand on your abdomen and the thumb of your other hand placed against one nostril. Close your mouth and breathe in through your open nostril. Fill in your belly and feel your hand on the abdomen moving up. Hold your breath for a few seconds by closing your other nostril as well. Exhale slowly after 3 seconds. Do 10 reps.
Be sure to sit quietly for 5 minutes after performing the exercise and breathe normally. Not getting enough fluids can make you become dehydrated, which will lead to dizziness. You may experience the same when you engage in strenuous workouts and do not drink enough water to rehydrate your body. Diarrhea or vomiting can also cause excessive fluid loss. Be sure to drink a glass of water when you feel dizzy. This helps rehydrate your body and prevent dizziness. Try including herbal tea in your diet. You can also drink fruit juices, soups, and broths. Have a snack high in sugar or carbs like a banana or a chocolate bar. Enjoy any fruit with high water content to prevent dehydration. Have a bowl of yogurt with any fruit. Eat a handful of roasted nuts like almonds, cashews, or walnuts. Put your head in a lower position in case you are sitting down and are feeling lightheaded. Be sure to remain lying down or seated for a couple of minutes or until the dizziness has passed completely. You should find a particular spot and focus on it to get dizziness under control. The technique helps dancers maintain a better control over their bodies while dancing. You can try the same. Just focus on a spot like a speck of dirt on the floor or a crack on the wall to lessen the sensation of spinning around. Sit down and tile your head towards one side. Maintain a 45 degrees angle. Lie back while keeping your head at the same angle and maintain this position for a couple of minutes. Now, turn your head again but towards the other side. You should keep your head tilted at a 90-degree angle. Slowly roll your body towards the same direction until you are looking at the floor. Maintain the position for another minute or so and then return to a seated position. Try something that reduces stress. It could be a change of job, a different working schedule, reduced hours, or spending more time working from home. Try natural stress-relieving methods, such as yoga, meditation, deep breathing, and tai chi. PO HTN Initial: 12.5 mg twice daily. Maintenance: 25-50 mg twice daily. Max: 50 mg 3 times/day. Heart failure Initial: 6.25-12.5 mg 2-3 times/day. Max: 50 mg 3 times/day. Post MI Start 3 days after MI. Initial: 6.25 mg/day, may increase after several wk to 150 mg/day in divided doses if needed and tolerated. Diabetic nephropathy 25 mg 3 times/day. Captopril competitively inhibits the conversion of angiotensin I (ATI) to angiotensin II (ATII), thus resulting in reduced ATII levels and aldosterone secretion. It also increases plasma renin activity and bradykinin levels. Reduction of ATII leads to decreased sodium and water retention. By these mechanisms, captopril produces a hypotensive effect and a beneficial effect in congestive heart failure. Absorption: 60-75% absorbed from the GI tract (oral); peak plasma concentrations after 1 hr. Absorption may be reduced in the presence of food. Distribution: Protein-binding: 30%; crosses the placenta and enters breast milk at about 1% of maternal blood concentrations. Excretion: Via urine (40-50% as unchanged, the rest as disulfide and other metabolites); 2-3 hr (elimination half-life), may be increased in renal impairment. Removed by hemodialysis. Hypotension, tachycardia, chest pain, palpitations, pruritus, hyperkalemia. Proteinuria; angioedema, skin rashes; taste disturbance, nonproductive cough, headache. Potentially Fatal: Neutropenia, usually occurs within 3 mth of starting therapy especially in patients with renal dysfunction or collagen diseases. Hyperkalaemia. Anaphylactic reactions. Known hypersensitivity to the drug. Bilateral renal artery stenosis, hereditary angioedema; renal impairment; pregnancy. Administer 1 hr before meals. WARNING: Ensure that patient is not pregnant before beginning treatment. Encourage use of contraceptives; if pregnancy is detected, stop drug. WARNING: Alert surgeon and mark patient’s chart with notice that captopril is being taken; the angiotensin II formation subsequent to compensatory renin release during surgery will be blocked; hypotension may be reversed with volume expansion. Monitor patient closely for fall in BP secondary to reduction in fluid volume (due to excessive perspiration, and dehydration, vomiting, or diarrhea); excessive hypotension may occur. Reduce dosage in patients with impaired renal function. Take drug 1 hour before meals; do not take with food. Do not stop without consulting your health care provider. Be careful of drop in blood pressure (occurs most often with diarrhea, sweating, vomiting, or dehydration); if light-headedness or dizziness occurs, consult your health care provider. Severe fetal damage can occur if captopril is taken during pregnancy. Use of contraceptives is advised; if pregnancy should occur, stop drug and notify health care provider. Avoid over-the-counter medications, especially cough, cold, allergy medications that may contain ingredients that will interact with ACE inhibitors. Consult your health care provider. You may experience these side effects: Cough, GI upset, loss of appetite, change in taste perception (limited effects, will pass); mouth sores (frequent mouth care may help); rash; fast heart rate; dizziness, light-headedness (usually passes after the first few days; change position slowly, and limit your activities to those that do not require alertness and precision). Report mouth sores; sore throat, fever, chills; swelling of the hands or feet; irregular heartbeat, chest pains; swelling of the face, eyes, lips or tongue; difficulty breathing. Calcitonin (Cibacalcin) is an hormonal agent indicated for patients with Paget’s disease. The calcitonins are polypeptide hormones secreted by the thyroid; human calcitonin is a synthetic product classified as an orphan drug; salmon calcitonin appears to be a chemically identical polypeptide but with greater potency per milligram and longer duration; inhibits bone resorption; lowers elevated serum calcium in children and patients with Paget’s disease; increases the excretion of filtered phosphate, calcium, and sodium by the kidney. Contraindicated with allergy to salmon calcitonin or fish products, lactation. Use cautiously with renal insufficiency, osteoporosis, pernicious anemia. Paget’s disease: Starting dose of 0.5 mg/day subcutaneously; some patients may respond to 0.5 mg two to three times per week or 0.25 mg/day. Severe cases may require up to 1 mg/day for 6 mo. Discontinue therapy when symptoms are relieved. Skin testing: 0.1 mL of a 10 IU/mL solution injected subcutaneously. Paget’s disease: Initial dose 100 IU/day IM or subcutaneously. For maintenance dose, 50 IU/day or every other day. Actual dose should be determined by patient response. Postmenopausal osteoporosis: 100 IU/day IM or subcutaneously, with supplemental calcium (calcium carbonate, 1.5 g/day) and vitamin D (400 units/day) or 200 IU intranasally daily. Hypercalcemia: Initial dose, 4 IU/kg q 12 hr IM or subcutaneously. If response is not satisfactory after 1–2 days, increase to 8 IU/kg q 12 hr; if response remains unsatisfactory after 2 more days, increase to 8 IU/kg q 6 hr.